The episode can be listened to here or using iTunes, Google Play or your favorite podcatcher. The Compact group on Yahoo! Groups - There are multiple groups for various areas. A quick Google search will bring up a list to choose from and you can pick the one you want to check out. I'm having trouble getting the player to post here, but you can listen via this link for now. Something a bit different... an audio episode! I discuss the book and documentary, No Impact Man, by Colin Beavan. crafty chat - wait, there's yarn?! Today, I share some ideas for clutter-free gifts for the holidays. I hope you find it helpful! 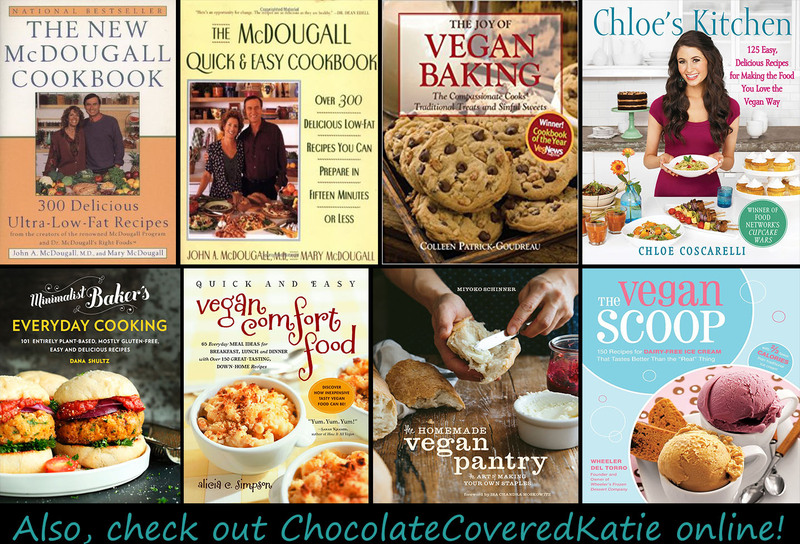 book chat - my favorite vegan cookbooks! For this week's book chat, I'm sharing my favorite vegan cookbooks! And check out The Vegan Roadie on YouTube if you're interested in a traveling vegan food show! Thanks for the tag, Amanda! (Be sure and check out Amanda's video!) I tag Emily of AndersMill Knits, Julieanne of My Muddlings and Sheila and Debbie of Never Cast Off podcasts. Vicki's TEDx talk can be found here. less wonky pottery and a little yellow uke! Whitehouse Whimsies and Rugs on YouTube has some other good tutorials if you'd like to make an oval or rectangular rug as well. Be sure and enter to win a copy of the Black Tie Affair wrap pattern from designer Jennifer Runyan over in the Ravelry group! episode 78: free your feet! The winners for my portion of the prizes for the Summer Stripe-along are announced along with the winner of the Yeksa shawl pattern! I also talk about some of my recent reads, my recent social media break and future plans. In addition to the yarny prizes and progress keeper I provided for the Summer Stripe Along CAL, I'm so thankful to have had a couple of my podcaster friends offer up prizes as well. Big thanks to both of these generous ladies! Benita of Dyed in the Wool Biz/Fiber Pusher Podcast for offering up a copy of her Walking Through China sock pattern and 4 ounces of spinning fiber! The sun progress keeper was made by Julieanne of Lovebird Lane Yarns on etsy (also hosts the My Muddlings Podcast). I also drew for the winner of the Yeksa Shawl pattern, designed by Janine McCarty of the Yarn and Ewe Girl Podcast. As announced in this episode, Janine McCarty, yarnandewegirl, has so generously offered up a copy of her new shawl design, Yeksa Shawl, as a gift to one of my lucky viewers! So tell me, what have you done this summer to stay cool? Show notes are in the Ravelry group here. episode 73: make it work(-ish)! Show notes can be found here in the Ravelry group! episode 70: can we say... PROCRASTINATION? episode 69: losing (stash) weight! Links to all projects shown/books discussed in the group on Ravelry! episode 68: fun with plants!